to our clients. . .
. . . and allowing them to enjoy the wonderful world of living poolside. 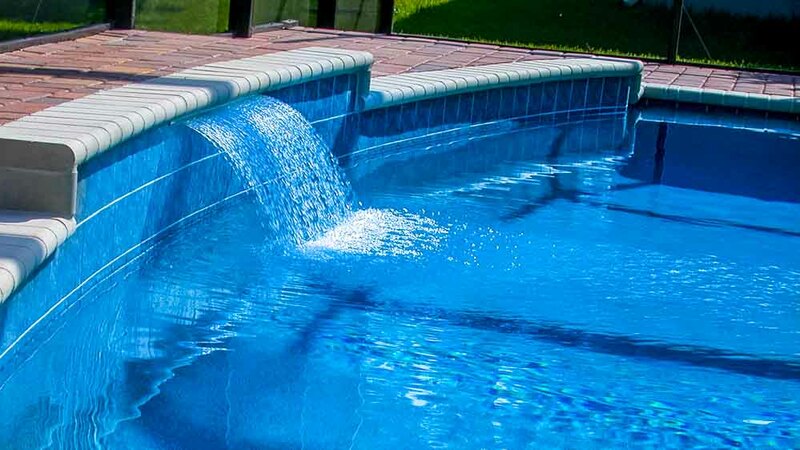 We design and build swimming pools Jacksonville, FL, and we serve residents in the counties of Duval, Nassau, St. Johns, and Clay. 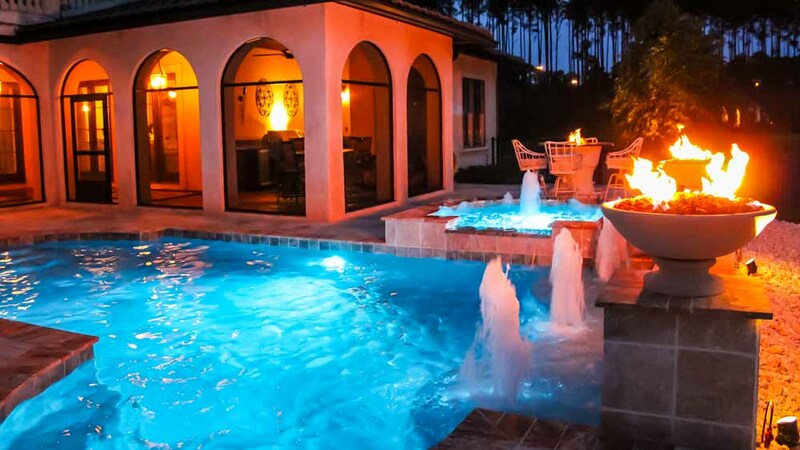 We believe that inside most Florida residents, there is a desire to live the lifestyle centered around the pool of your dreams. This means relaxing, doing a little sun worshiping, socializing with friends, and taking the occasional dip to beat the heat and be constantly refreshed by the cool waters of your pool. This kind of lifestyle doesn’t have to be just a dream, it is something that our company can help you achieve, and in a relatively short period of time. 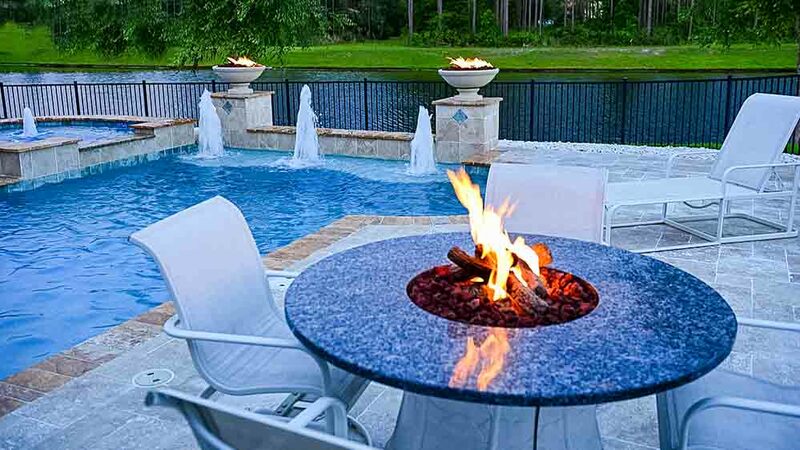 We will be very happy to work with you on a design that is both aesthetically pleasing and completely functional within the context of your available living space.Our company vision is to make your individual vision a reality, and to have it be a total reflection of yourself and the kind of backyard living you have in mind. To take you from vision to reality, our pool designer will consult with you, so that we have a clear idea about exactly what you want, the size and shape of your available backyard space, the budget you had earmarked for the project, and the timeline of work to be done. Once all this information has been ascertained, we will develop for you a 3-D scale model of your dream swimming pool, which we believe is a crucial step in the building process. When you can actually see a model of your vision, it will help clarify your thinking, and may serve as a trigger for anything that might need modification, or that you simply don’t like after seeing a live version of it. The 3-D model will also help you to visualize how this particular design will fit in your backyard space, and can be confirmation of the design you wish to proceed with. 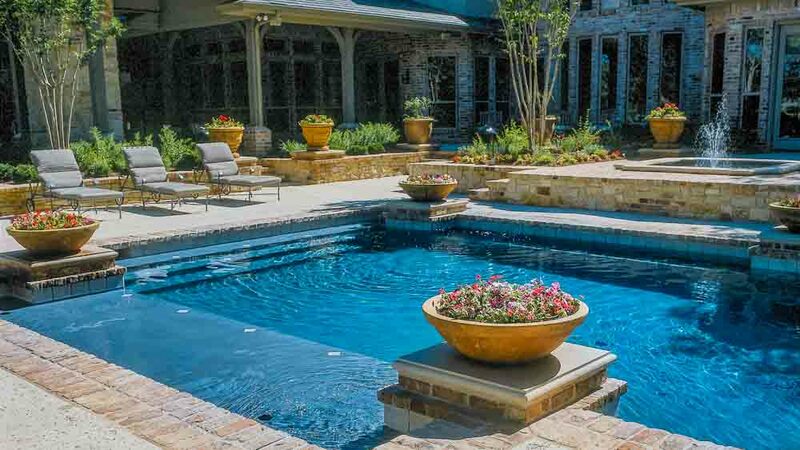 Poolside Designs is a company that not only builds pools, we build dreams for you, and we help you to achieve poolside living in a way that will make you very proud of your new pool, and very happy with your new lifestyle. As members of the Florida Swimming Pool Association (FSPA), we are constantly apprised of all regulations governing the swimming pool industry, especially those issued by the Department of Health and other governmental agencies. 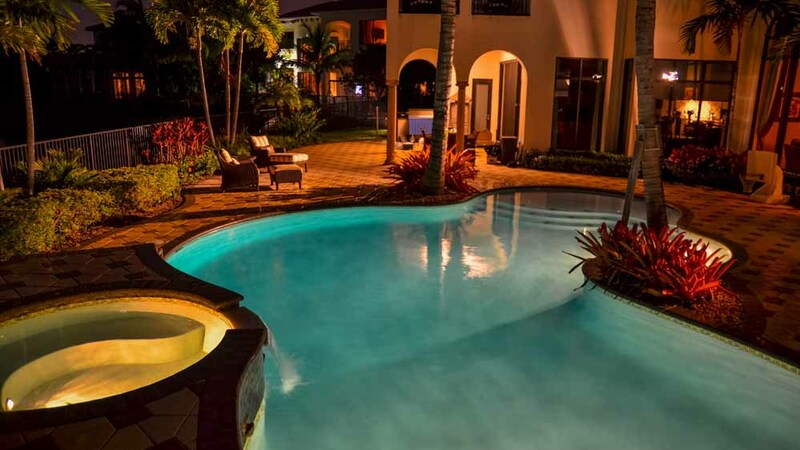 We also adhere to a Code of Ethics as FSPA members, which means you can rely on Poolside Designs to demonstrate professional integrity in all aspects of our collaboration with you, from design phase to implementation of your pool. 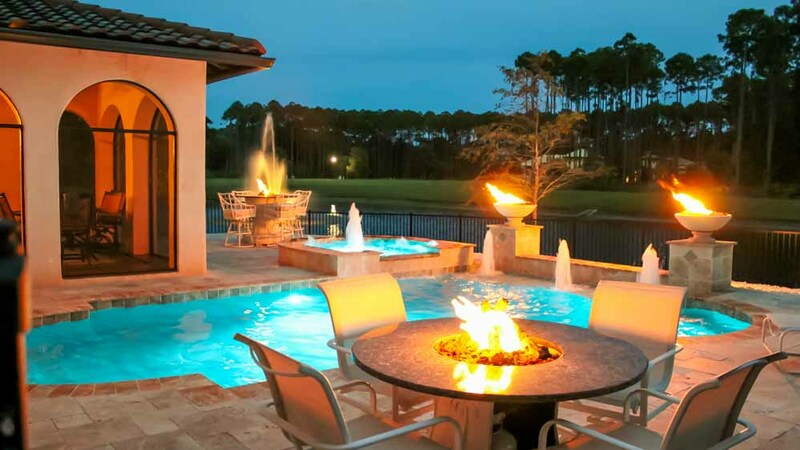 Our company believes that the pool we design and build with you is not the only product or service that we have to offer – we believe that our unmatched customer service is also a necessary component of every project we take on, for every client we introduce to poolside living.